National Remembrance Day, half mast, PM and ministers’ condolence messages, support from friends and relatives, kind words, all these meant nothing to the parents that were flown all the way to Kota Kinabalu to identify the bodies of their children and to bring them home, lifeless. This is a tragedy that cannot be described in words. The loss is devastating to the parents and loved ones. Would anyone, any school, wish to continue with such a programme for their 12 year olds or 16 year olds? What is the role and function of a school, a primary school, a secondary school? Is leadership training part of the curriculum, a responsibility of the schools? There is a time for everything, a time to be a child, go to school, be a playful teenager, NS, tertiary education, get a job, settle down and start a family. Schools should not over extend themselves to do things that are beyond their scope of responsibility. Sending children overseas for whatever educational activities should not be the function of primary and secondary schools. Leadership training at 12 is a farce! Go and do well in the PSLE first. Leadership training in an overseas trip is a bigger farce! 2 years in NS may not make any difference in making leaders of NS men. Challenging the 12 year olds to their limits is high falutin. No need to say more. The MOE must re examine the role of education at different levels and keep the eager beavers under control. It is good to want to conquer the world, to be the best of everything. But do it at a proper time. Do not try to over achieve and go astray with fallacious activities not suitable or appropriate for the different age groups. There is no need to prove beyond what the schools are set out to do. Going the extra mile is always good if done within limits and without endangering the safety of the children. Educators are expected to be professionals and to know the limits of what they can do and should do and what is unnecessary and superfluous. Do not expose the educators to do things that they would regret for the rest of their lives. No amount of kind words can bring back the children that were lost. The parents would live a life of painful memories and regrets of their loved ones prematurely taken from them. Can you imagine the grief? I am lost for words to console the victims’ families. The loss of lives is so unnecessary. We don’t have earthquake but have so many earthquake victims to mourn and a day of remembrance for it. So unnecessary. A 12 year old girl, Peony Wee, lost her life on a mountain trekking trip to Mount Kinabalu when an earthquake hit the mountain. 2 teachers and 7 more students are still missing. The students were there for leadership training as part of their wholesome education and investment for the future. Our education process is top notched, our students did not just go to school to learn the 3Rs but a lot of other ECA and character development programmes to make them leaders of tomorrow. Only a rich country like ours could afford such a comprehensive and enriching programme unlike the developing countries. Hopefully the product of our expensive education system will produce useful graduates for the economy in the future. If only this comprehensive system was introduced earlier, our PMETs would not be in dire straits today. While we pray for the safe return of the missing students and teachers, maybe we should take the opportunity to reflect, with hindsight, how much we want to do with our children to make them better adults in the future. Mountain climbing for 12 year olds to me is a bit far fetched though many would thing it is normal and good. The overall picture is that all outings, even within Singapore, would incur some form of risk and could turn into tragedy if fate is unkind. The Korean ferry tragedy is still vivid to many and still being mourned by the parents of those children that were gone. I thought that would have been food for thought to rein back some of the activities of the schools. Apparently our overseas trips and programmes for students are in full swing and students are encouraged to travel around the world, to many distant countries for all round character development. This is very good if everything turns out fine. The question is that should schools be involved in such overseas trips that often benefits a few that could afford the cost and many that could not and could only envied? Should such trips be left to the parents and families to their own fancy and not involved the schools? It is good to have such programmes, a great outing, a great holiday to remember of. But as to the real value, it is subjective especially for very young children. Maybe the MOE may want to rethink and look at the bad side if things did not turn out right like this case. Tragedy that can be avoided shall be avoided. The process of growing up and learning is a life time experience and there is no urgency to do it at the primary or even secondary school level. The biggest training programme and character development will come when the boys get enlisted into NS. That is solid training to turn boys to men at the appropriate time, and if danger is part of the process of growing up, NS training is full of it. The Mount Kinabalu tragedy is still unfolding and could be worse. 9 are still missing. We do not need a bigger tragedy of the South Korean dimension to regret and think it is unwise to expose our children to it. Let the parents bring their children to Disneyland or the African jungle if they so choose to. The principals and teachers do not need to live with such memories and to regret the rest of their lives. The Americans are great adventurers and love to go to war to return as victors and heroes. But when the brave young men and women return in body bags, the pain and hurt will last a life time. Having fun is one thing and everyone loves to have fun. Think of the consequences and ask if it is necessary. Is it something that must have or good to have or nice to have but not really necessary? Singapore students score top marks in science and mathematics in a survey among 76 countries conducted by the OECD. The survey was on 15 year olds in Mathematics and for 14 year olds in Science in the Programme for International Students Assessment. Hong Kong was second, South Korea third, Japan and Taiwan joint fourth. The next 6th to 10th rankings were from Europe. The rest of the 3rd ‘World Asian countries were ranked far far away. What does this survey say? 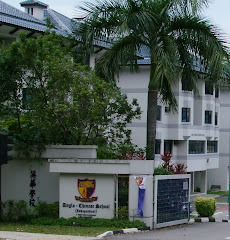 Singapore students were the best at age 14 and 15. And this is not the first time the survey was conducted. The results of past years have been consistent. The strange thing is that Singapore students were found quite useless in later years and totally hopeless and unemployable. And Singapore is so desperate that there is no talents in Singapore, wondering what happened to the bright 14 and 15 year olds, that Singapore needs to import huge numbers of foreigners from the unranked 3rd World countries to help it to grow, and to provide jobs for the useless Singaporeans. 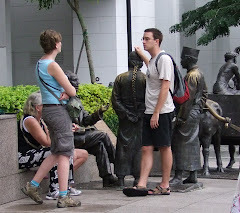 Without the foreigners, Singapore will sink, perish from this world. Can you believe that? Is that true, that top students at age 14 and 15 disappeared into thin air or became duds as they grew up? If not Singapore would be flooded with our own top talents in many fields. What could be the possible explanations for this queer phenomenon? One explanation is that the survey is inaccurate and unreliable as the correlation did not make sense. Two, Singaporeans are born with a defective gene that self destruct and all Singaporeans will become stupid or daft as they grow older, ie after year 15. A third possible explanation is that the young of the 3rd World continue to make rapid progress to leapfrog over Singaporeans in intelligence and ended up as the desirable foreign talents to replace the daft Singaporeans. Can this be it? Must be it. A fourth and likely explanation is that somehow the 3rd World graduates have scintillating qualifications and job experience that are better than Singaporeans in all aspects, including street smartness, skills sets, bluffology etc etc that make them so impressive and so desirable as employees, including ability to do wonders. Actually everyone knows by now how easy it is to get all the top grades and top degrees, and CVs and job experience without having to work for it. They could just buy them from the shelf. Or the institutions would sell them directly for a fee. I think this is the likely cause. Now, how can Singaporeans then do better than these 3rd World talents? My recommendation is that if you can’t beat them in cheating just join them in their game. With the talents of our students, I am pretty confident that if we want to cheat, allow them to cheat, they would be able to cheat betterer, with distinctions. But you need to have the authority on their side and not on the side of the foreign cheats. This is very important for daft Singaporeans to be successful, to be employable. What do you think? Our young are top talents but never live past 15 years old? 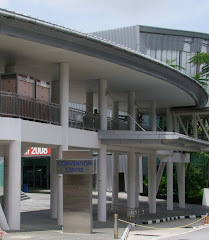 The Singapore Brand and the education hub Singapore is promoting for quality education would be the first victim if degree mills are going to be widespread and accepted without any disapproval shown by the authority. An education hub is all about quality of education and integrity of the institutions and the degree or diploma awarded. 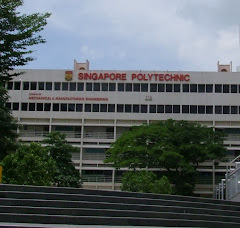 No legitimate students looking for quality education and a reputable degree would sign up with a degree mill or come to Singapore’s education hub if the image of degree mills and fake degrees become the norm here. Degree mills and fake degrees will undermine and compromise the institutions of learning here. They will make a mockery of acquiring a good degree from a reputable institution and render them useless or a waste of time. Why waste time and money when a fake will do to get a good job? How could the existence of good quality education and reputable universities exist side by side with fake degrees and degree mills? How could the authority tolerate the flaunting of fake degrees from degree mills and treating them lightly, like no issue and expect some respect for the graduates of legitimate universities? What is the message? On one hand we are promoting quality education. On the other hand we are turning a blind eye to fake degrees and degree mills. Are the institutions of higher learning going to protest when their students are raped openly by the holders of fake degrees and losing out to them in employment opportunities? Do these institutions see the damage done to the value of their degrees and to their graduates? The issue of fake degrees and degree mills has wider implications and consequences not only to the institutions of learning and the Singapore Brand. It will have negative effects on the education industry and the education hub that we are promoting here, to invite foreign students to study here, to grow an industry and revenue for the country. Let me contribute a little to the degree mills. I am going to register for a few Ph Ds. My wall is quite empty and I need a few decorative pieces on it. Better than expensive paintings. Collecting degree mill Ph Ds can be an interesting and cheap hobby. I swear I will not put them in my resume. It is just a past time, a hobby. 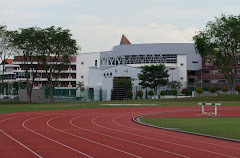 ST reported that Vancouver University Worldwide, which was ordered to be shut by the Canadian government in 2007, had been offering its courses in Singapore for several years. 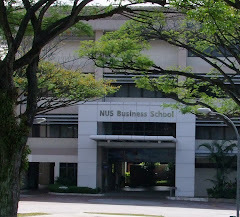 Having fake degree from a degree mill is acceptable in Singapore? Below is part of an article posted in the TRE about a staff from IDA with a Masters degree from a degree mill. The netizens are questioning IDA whether this is a crime. So far no official comment from any ministry on this. On 2 Apr, TRE wrote to IDA for comments on the matter and asked if it is aware that one of their staff has obtained her MBA from a degree mill. TRE did not get any reply from IDA. However, netizens continue to pursue IDA relentlessly on its Facebook page and on Tues (14 Apr), IDA finally replied. IDA said that her Bachelor’s degree is from a reputable university and she was recruited based on the Bachelor degree. Her MBA was “not a relevant certificate for her position in IDA”, it added. In Singapore, you pay a price for quality. And anything that is good is expensive, priced according its quality. The SMRT is one of the best in the world. And it is so good that it is raising its fares again to match its quality of service. Fares will go up on 5 Apr 15. Yesterday it was also announced that all the universities will be raising their fees again for the next academic year. So if you put one and one together, the quality of our universities will go up again. You pay for quality. The quality is in the price you pay. The increases range from 1% to 8% depending on the courses and the institutions. This must be good news for the students eyeing for a world class university education in Singapore. The rankings of these universities will definitely notch up a few more rungs. At the rate they are raising the quality of university education by raising the fees respectively, soon they will be better than Harvard or MIT or Cambridge and Oxford. And of course they will have equally high course fees to match. But just be careful about job opportunities. It was reported in the media yesterday that 60% of the local professionals, managers, executives and technicians (PMET) that lost their jobs could not be reemployed because they lacked the skills set. And they are the products of our world best universities. so if PMETs young and old have lack of skills, then what are the polytechnics and SIM, SMU, NTU,NUS teaching in their degree and diploma syllabuses??? all outdated stuff??? 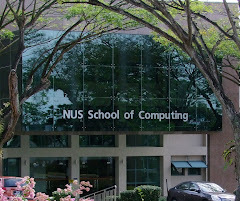 its like the educational institutions are still teaching DOS and Word Star and the outside world is using windows 8 and office 2013.
if you are a fresh grad from Poly and NUS and outside interviewers are telling you you lack the relevant skills, then what the f*ck are these educational institutions teaching??? I can guarantee the students that the qualities of these universities are definitely world class. But I am not sure world class in what ways. The students must be mentally prepared that getting a degree from these universities does not guarantee them a good job as the experience of the PMETs and the fresh graduates are anything to go by. My recommendation is to go the neighbouring countries, 3rd World also good, if they want to get the right skills set to be employable. An easier and cheaper way is to buy from the degree mills. Not to worry, many of them are getting good jobs here and doing very well. Everyone is sleeping and no one is checking. Be street smart, get a degree, fake also can, that can get a job, not a world class degree that no employers want or worst, did not teach you the relevant skills set to get a job. What do you want, a good degree from a world class university that cannot get a job or a fake degree or from an unknown university but can get you a job? It is very easy to con or cheat the talented employers in this 1st World city. They did not know what the hell is going on. They are too busy counting their money. See the ‘Do Not Disturb’ signs on their doors? ‘In a statement yesterday (2 Apr), NTUC said that 60% of PMETs face difficulties in their jobs mainly due to a lack of relevant skills. This is according to a survey NTUC conducted with 894 PMETs last year. 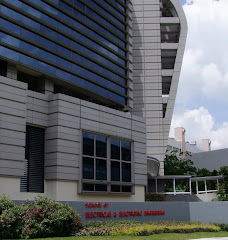 “We found that many face challenges pertaining to their current skill sets and knowledge,” said Mr Patrick Tay, assistant secretary-general and director of NTUC’s PME Unit. And what happened, she sought help and what did they do to help her get a permanent job? They helped to polish her resume and interview skills and that was it. What have these got to do with her skills set? And why is it that 60% of PMETs who were good enough to be employed as PMETs but got sacked and then no longer have the relevant skills. And all the jokers and fakes and dunno what from God knows where have the skills sets to be employed here, have the skills sets that our PMETs did not have? You believe in that? You believe in the 3 reasons given above? You believe that the PMETs could only become taxi drivers and security guards and people from the 3rd World are better trained than them, from the little villages or streets of 3rd World countries? Excuse me, what does PMET meant? It means Professionals, Managers, Executives and Technicians! No skills set? How did they become PMETs if they have no relevant skills set? The whole world, including 3rd World countries knew what kind of skills sets needed to work in Singapore and could produce them to meet our needs but our world class education system could not produce people with the skills set needed by our employers! The recent announcement by our Govt to delist some well known British universities from the list of recognised universities for law degree and allowed to practise here must come as a shock, a thunderbolt from nowhere. How can this little ex colony have the gumption to not recognise top notch universities with long academic traditions and anytime better than the local universities here? The Brits forgot that our local universities are higher ranked that many British universities. It is like the student has surpassed the master. Wait a minute, I thought the higher ranking of local universities here are due to two major factors, foreign lecturers and foreign students. And foreign lecturers, especially the English speaking type are mainly from UK/US. And British universities must have a lot of foreign students as well. What is wrong with British tertiary education when they are ranked lower than our state universities? Don’t ask me. Maybe these universities did not know how to game the ranking system. Now some of these reputable British universities are standing up in protest. How can this ex colony think British universities are not good enough? They are going to make representations and appeals to be reinstated into the list of approved universities. All I can say is silly Brits. An easier and more comprehensive solution would be to sign a Comprehensive Economic Cooperation Agreement, CECA, and all their problems will be solved. CECA could also mean Comprehensive Exemption for Cheats Agreement when the quality and authenticity of the qualifications are questionable. If the Brits did not what this is all about, send a team of representatives to New Delhi to learn from their ex colony on how to con Singapore into singing a CECA. This ex colony has also outsmarted their colonial master and a smaller ex colony to sign this great agreement. With a CECA, the British could even take over this ex colony and rule it for perpetuity if they so wish. There will be no more need to recognise any universities from UK, the Universities of Soho or Haymarket would do. They can just hop over to work here. Some natives here have gone bonkers and would love to welcome the British back to rule them. They have run out of ideas and would need just an excuse to bring back the Union Jack like some Hongkies are doing, protesting in the streets begging for the Brits to be back to rule them. And the CECA with the British is just the right instrument to do it. Every single university in UK would be recognised by default of the agreement. No need to appeal to the ex colony. Come on Brits, used your head. It’s elementary, Watson.